1)it is a program type that comes to the calm mountain-temple and enjoys a beautiful scenery, and it removes the stress of the your modern society and human network. 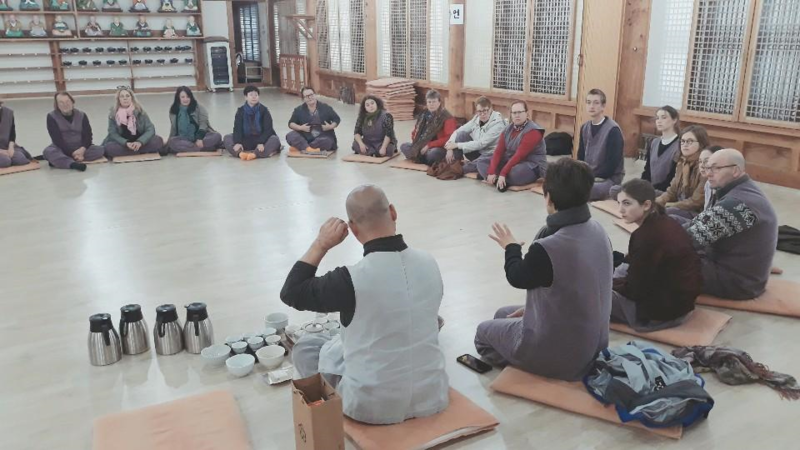 Please note that the 108- time bows and the tea-time with the hyo myung-monk of Genaral dierector of templestay programs are missing from the that experiential program. we give you just resting time for trekking of mountain, go for a walking, medition like that. 2) The activities included in this retreat will have proven benefits to your physical and mental health. However, if you have any health problems which may interfere with your comfort in these activities, please let us know. Payment in full, plus application form is required a week before courses commence. No Refund or Transfer after commencement of course. Price and dates are subject to change without notice. You can check your email and password. ★★★ 2019 Year's schedules can be changed. ★★★ It can be canceled or change the dates .It is temporary. I will email or send a message if we have changes. I hope you understand this situation. * A uniform ( a vest and pants ) is provided during the stay. * What to bring : toiletries,towels, a personal water bottle, loose clothes for sleep, an extra t-shirt, sneakers, and socks. sleeveless shirts and open toe shoes are not allowed and socked feet are required *In winter, this area is so cold . I recommend you bring gloves and scarf , warm clothes. --Keep the Temple’s rules and regulations for the program. 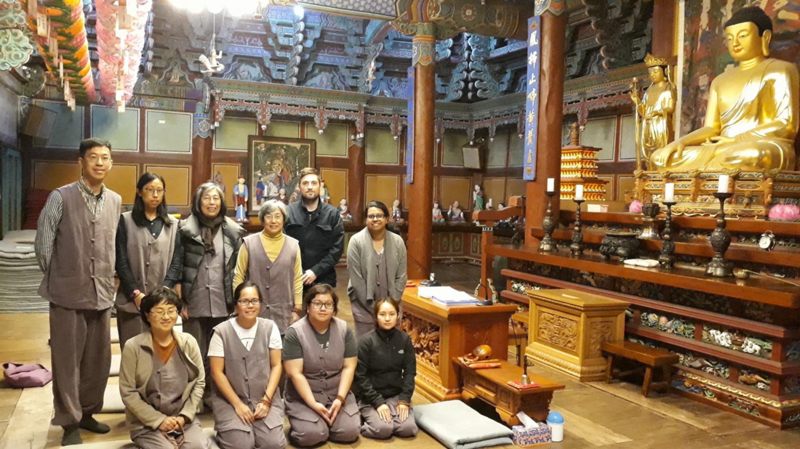 -I take full reponsibilty and liability for may own health and safety, including and accident, during the partucipate templestay program. *If you have any question, you can send me messages . you need to purchase tickets in advance. Seoul Central City Bus Termial - Kwang Joo Express Bus Terminal (U-Square) (You can get a ticket for Baekyangsa in Kwang joo express bus terminal. ★2.Seoul Central City - Jungeub Bus terminal(You can buy a ticket to Baekyangsa here.it takes 40minutes)-Baekyangsa bus stop-walk to Baekyangsa temple stay for 25minutes. - You take a bus for Baekyangsa - Baekyangsa bus stop - 25 minutes on foot -Baekyangsa temple stay office. ●1.Soo Seo train station- Jung eub train station- Jung eub bus terminal which is located around Jung eub train station. You walk to go there on foot for 10 minutes. You get a ticket for Baekyangsa. -Arrival Baekyangsa bus stop- you walk for 25minutes to get to Baekyangsa temple stay office. ●2.Mu goong hwa train (Young san train station )-Baekyangsa train station- There is a Jang sung intersection around Baekyangsa train station.You can find a bus stop for Baekyangsa. it takes 3 minutes to get there. -Baekyangsa bus stop - You walk to Baekyangsa temple stay office . It takes 25 minutes on foot.